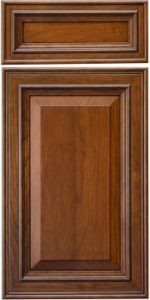 The CRP-1420 is a highly decorative door with heavy detailing and lots of nooks and crannies to gather glaze, making it an ideal choice for glazed finishes. NOT AVAILABLE IN INSET CABINETS. 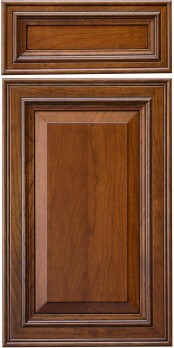 Hardware choice is critical as there is not much width in the door frame’s ‘flat’ area. Choose a hardware piece with a small base.